The missing word is “four“. 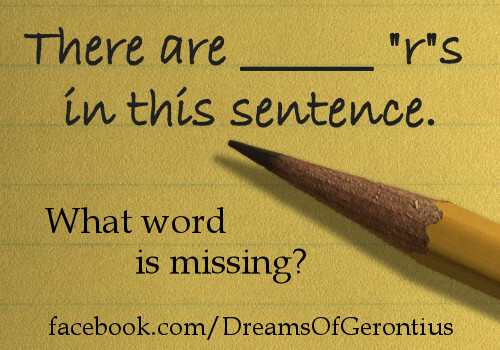 If you answered “three”, you didn’t notice the extra “r” you just added. If you answered “3”, that’s a digit, not a word! The second swan from the left honks, and only that swan. At first, none of the swans know what colour their tail is. 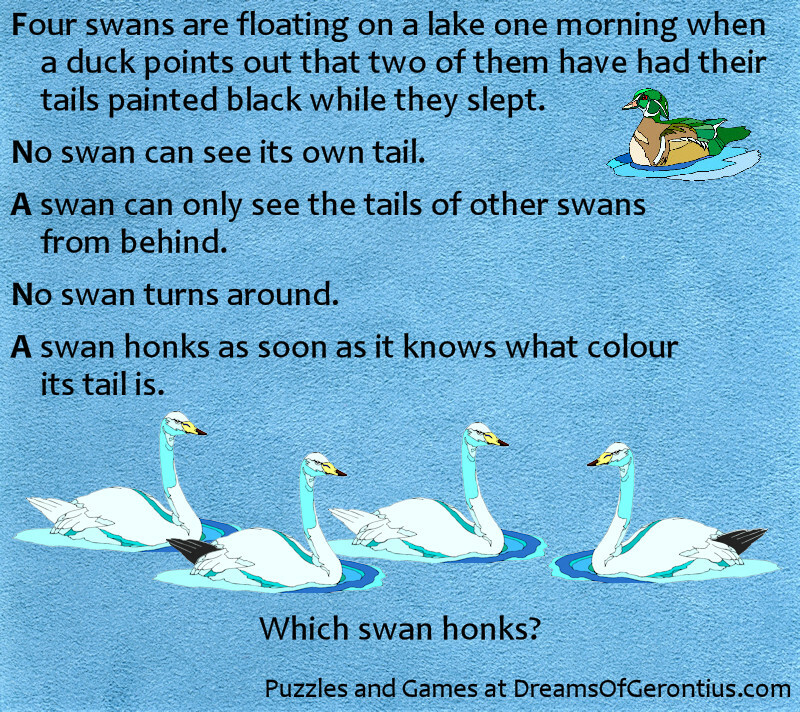 The extra clue for the 2nd swan is that the 1st swan does NOT honk. This tells the 2nd swan that its tail must be a different colour from the 3rd swan. If the 2nd and 3rd swans had the same colour tails, the 1st swan would know that its tail must be the opposite colour and would have honked. The 2nd swan can see that the 3rd swan has a white tail, so knows that it must have a black tail. 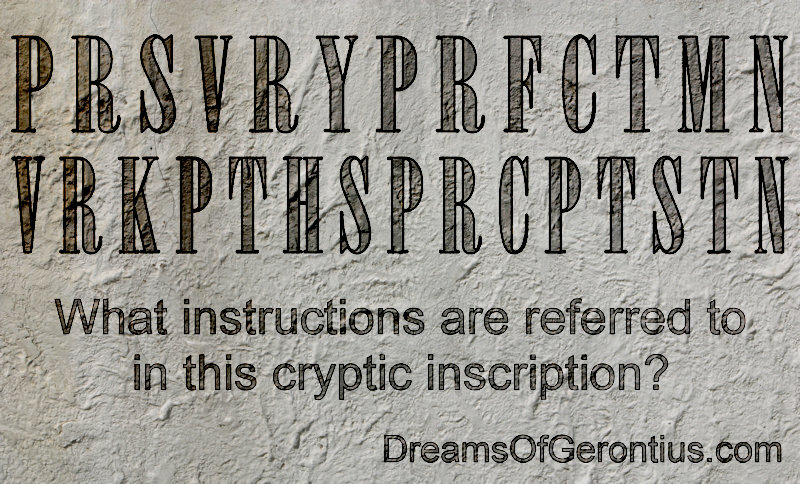 The trick to decoding the inscription is to realise that all the “E”s have been removed. 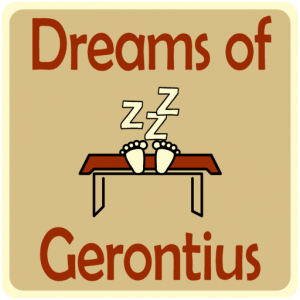 There is a legend that this inscription was found in an old church in Wales. The full message reads: “Persevere ye perfect men, Ever keep these precepts ten“. In other words, follow The Ten Commandments. 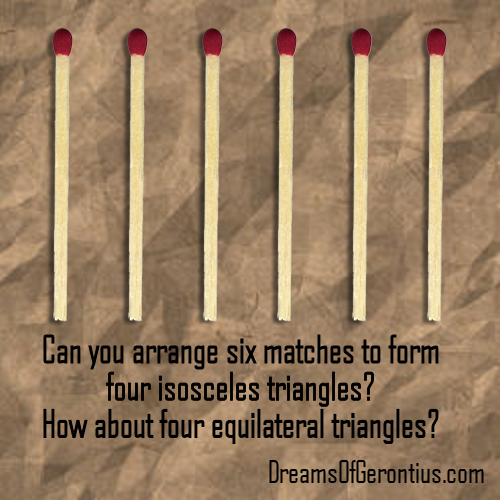 Follow this link to see the answers to this puzzle. There are a few variations on the basic answer to this riddle. 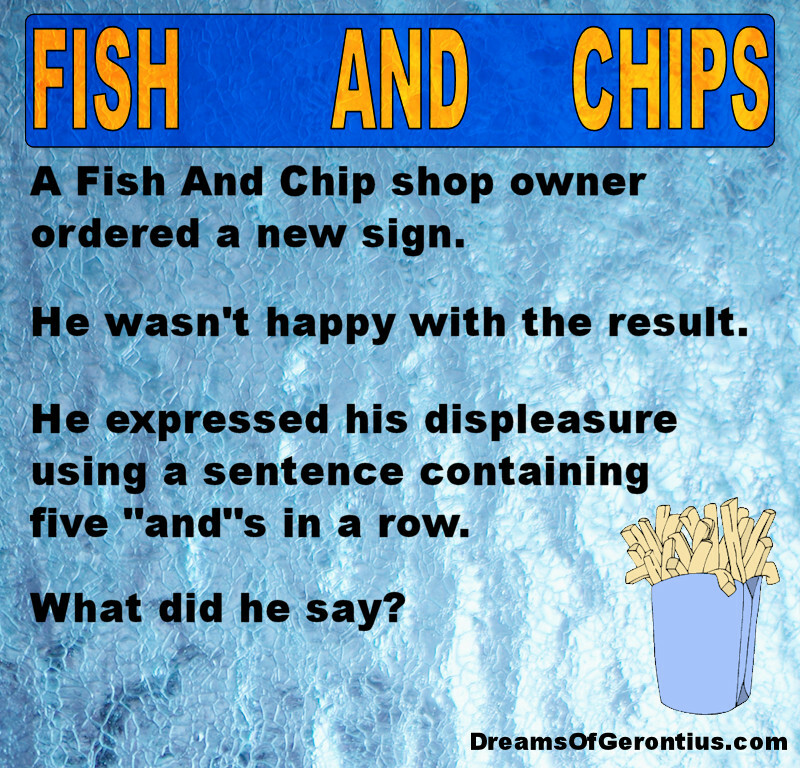 One answer is “The gaps between ‘Fish’ and ‘And’ and ‘And’ and ‘Chips’ are too big“.